BE-92AE automatic chronometer with 38-hour minimum power reserve. 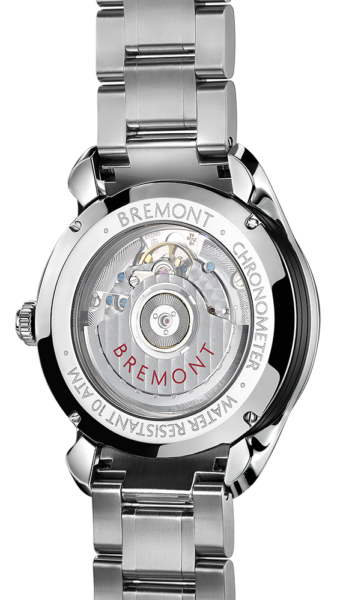 40mm hardened polished stainless steel case of Bremont Trip-Tick® construction. Water resistant to 10 ATM, 100 metres. Stainless steel bracelet.